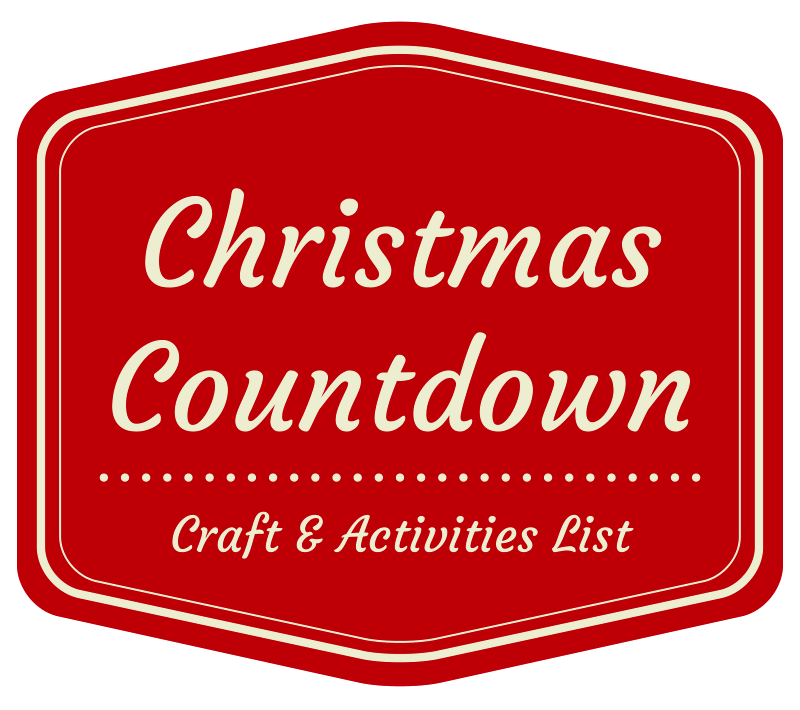 I’m so excited today to be joining the Creative Christmas Countdown with so many of my favorite kid crafts bloggers. 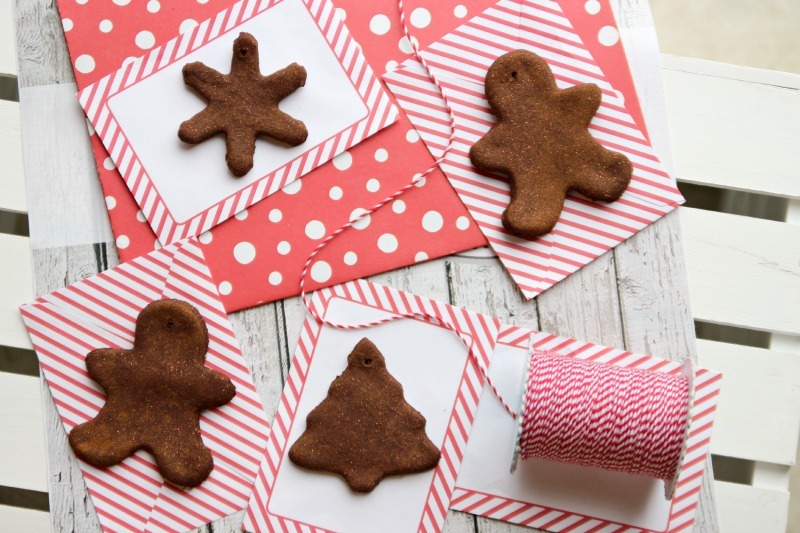 Alissa of Creative with Kids and Maggy of Red Ted Art created this online advent calendar as a way for bloggers to share fun, simple ideas for families to do together during the holidays. 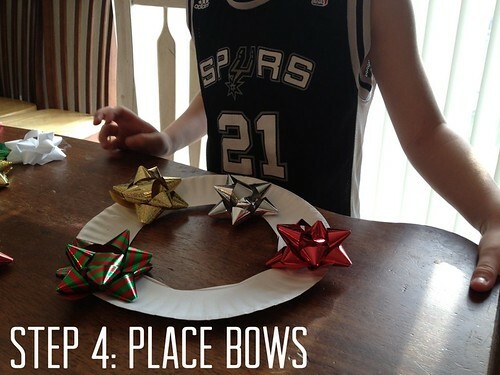 One of my favorite activities to do with my kids each year are these shiny paper plate bow wreaths. They take only a few minutes to make, but sure do make a great statement piece hanging up in your home. 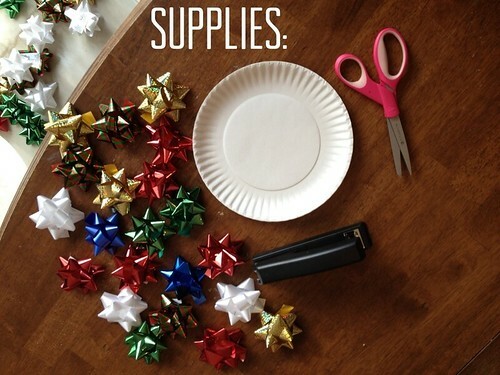 You probably have everything you need to make a few right now. 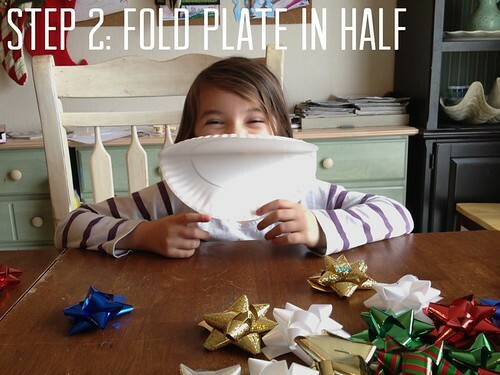 All you need is a paper plate, some christmas bows, a pair of scissors and a stapler. 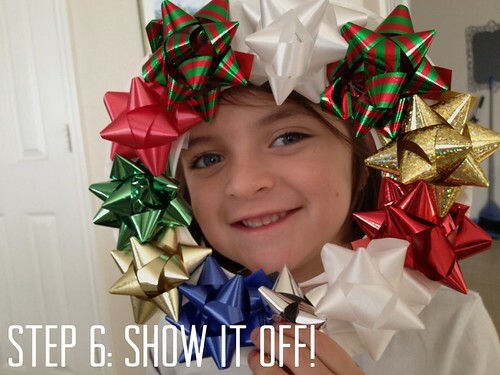 Here’s a quick photo tutorial my kids put together to show you how to make them. See? Super simple and beautiful. 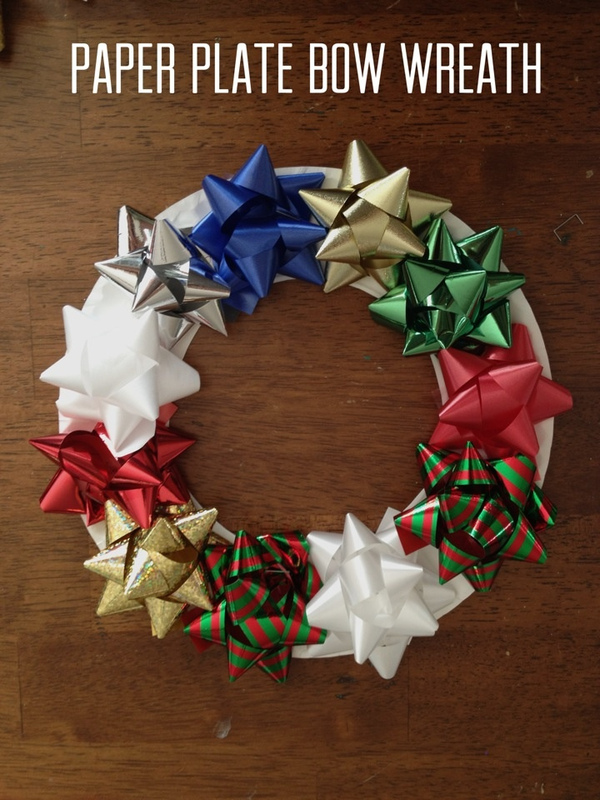 These make great teacher and neighbor gifts and family members love them too. 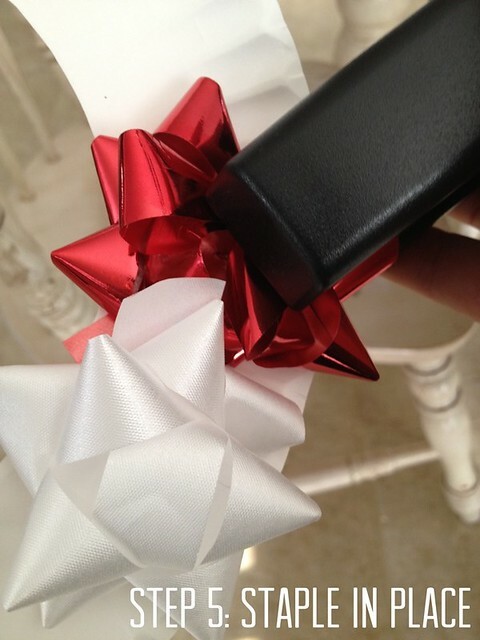 I usually loop a piece of ribbon and staple to the back so I can hang them anywhere I like. 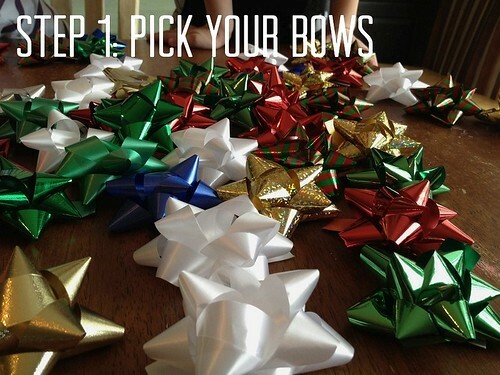 If you make some of these, I would love to see them! Please share them with me here or on my Facebook page so I can see how they turned out. 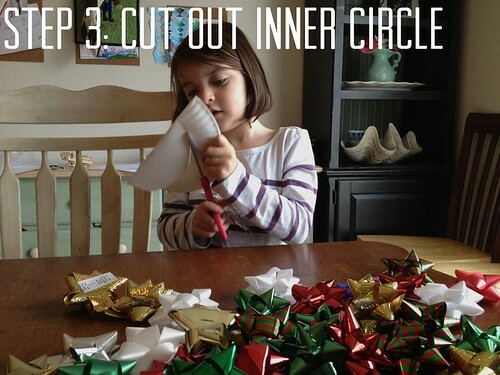 If you liked this activity, you will really enjoy the rest of the Creative Christmas Countdown. They have made it super easy for folks to follow along and even created this handy supply and activity list.